Bowling is a great way to channel your inner competitive nature and have some fun. No matter your age—bowling has always been a household favorite activity to get everything involved. Check out the coolest bowling alleys in Wisconsin and see for yourself. Lucky Lanes is a Milwaukee hidden gem, loved my many residents. Open seven days a week for the spontaneous and for the die-hards—Lucky Lanes great deals cannot be beat. Bowl has much as you want Sunday and Mondays for only $10, what a strike! Named one of Milwaukee’s best bowling alleys, JB’s on 41 offers more than just a couple lanes of bowling. Challenge the darkness with their Galactic Bowling in Suite 41. Laser lights, disco balls, heart pumping music, and runway lane lights make for a fun night out. Sunset Bowl is Waukesha residents favorite bowling alley. Patron can play pool, darts, join volleyball leagues, search their pro shop, order tasty food, and of course try their hand at bowling. Between their Moonlight bowling, holiday specials, and everyday low prices, it’s no wonder why people love this place! Prairie Lanes Bowling Alley has 32 state of the art lanes for countless hours of fun. Opening bowling prices are reasonable with cheap shoe rentals. They offer seasonal specials and leagues for the avid bowlers in your family. Grab a bite to eat and knock down a few pins in Sun Prairie’s Prairie Lanes. Waupaca Bowl is your one stop for a perfect night out. Their family bowling specials and weekend prices will keep your wallet at bay. Not to mention their delicious pizzas and Friday night Fish Fry’s. Bowl three games for only $6. You can’t beat prices like that anywhere! REVS Bowl Bar and Grill located in Oshkosh, Wisconsin, offers premier bowling in the Fox Valley. Check out their Cosmic Bowling which offers neon lights and moonlight bowls for great prices. They’re drink and food specials throughout the week make bowling on any day a good day. Wagner’s Lanes located in Eau Claire, Wisconsin, is your one stop shop for a great night. Enjoy a great live music, delicious food, a full bar, and shiny bowling lanes. Everyone stops at Wagner’s Lanes to throw a few balls down the lane. They have great bowling deals and a high-energy atmosphere to match. Ten Pin Alley in Fitchburg, Wisconsin, offers more than just bowling. Their cheap rates allow for endless hours of bowling, but if you get bored—stay after and watch the big game on their large TV screens, eat some grub, and wash it down wish a cold drink. Leagues are always forming at Ten Pin. Located in the heart of the Fox Valley in Nennah, the Classic Lanes are the perfect place to take the family or meet friends. They have great deals on wings, beer, tacos, and fish fry. VIP members bowl absolutely free on Thursdays and Classic Lanes has unbeatable dollar weekend bowl specials. 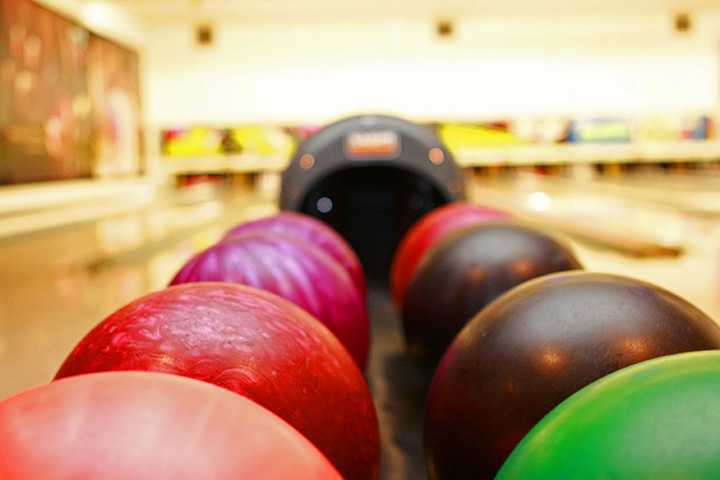 Lakeshore Lanes is a locally owned and operating bowling alley located in Sheboygan, Wisconsin. There’s a total of 24 lanes, a fully-stocked pro shop, their famous Strikes Bowl and Bar, moonlit bowling options, and a convenient banquet hall—perfect for parties. View more Wisconsin Bowling Alleys.